KIA is offering discounts of up to £1,700 off the Carens, up to £2,000 off 2014 model Sorentos, finance deposit contributions of up to £1,500 and 4.9% APR finance deals on all. The new 2015 model KIA Sorento is now on sale at prices from £28,795 (£31,995 for the KX2 Nav). These are better equipped, more refined, stylish and more technologically advanced. From launch, the all-new Sorento is offered at 4.9% APR finance available across the range. The revamped 2015 KIA Picanto hatchback offers better looks, more equipment, new colours and a range topping '4' trim level, featuring new premium features. The new Picanto is available with a £700 customer saving on selected models with prices starting from only £8,095. The new Picanto also comes with KIA's competitive 4.9% APR finance deal. Like the KIA Rio, Venga, cee'd and Carens SR7, the special edition Picanto SR7 features air conditioning, alloy wheels, reversing sensors, Bluetooth connectivity, automatic light control, privacy glass and leather trimmed steering wheel and gear shift as well as electrically adjustable and heated door mirrors, USB and AUX ports and front and rear electric windows (except on 3-door models). As well as deals on new models, attractive customer savings are to be found across selected models in the existing range. 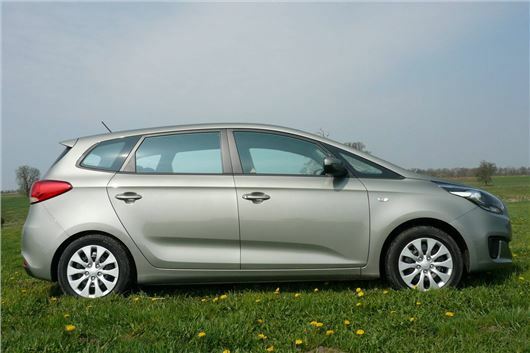 The KIA Rio now comes with up to £1,000 customer saving, the spacious and family friendly KIA Carens up to £1,700 off, the compact yet practical Venga up to £1,350 off, up to a £1,250 off the KIA cee'd, up to £1,350 off the Soul and up to £1,000 off the Optima saloon. All these offers are teamed with KIA's competitive 4.9% finance deal across the entire range of vehicles. Continuing the customer deal offers, a number of deposit contributions are now available across the range including £1,000 on Optima and Soul, £600 on Sportage (not 'KX-1' and '1' specs) and £1,500 on cee'd. When financed on a 50% deposit the Carens, Venga and Soul are available at 0%APR. For a road test of the impressive new Kia Sorento please click here.